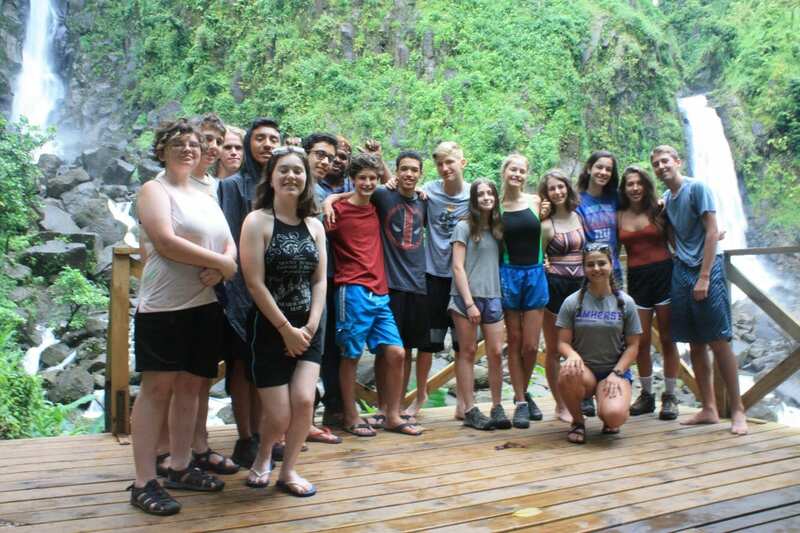 Over the summer, I participated in a GoPutney student travel program to Dominica, a country in the Caribbean, for 3 weeks. 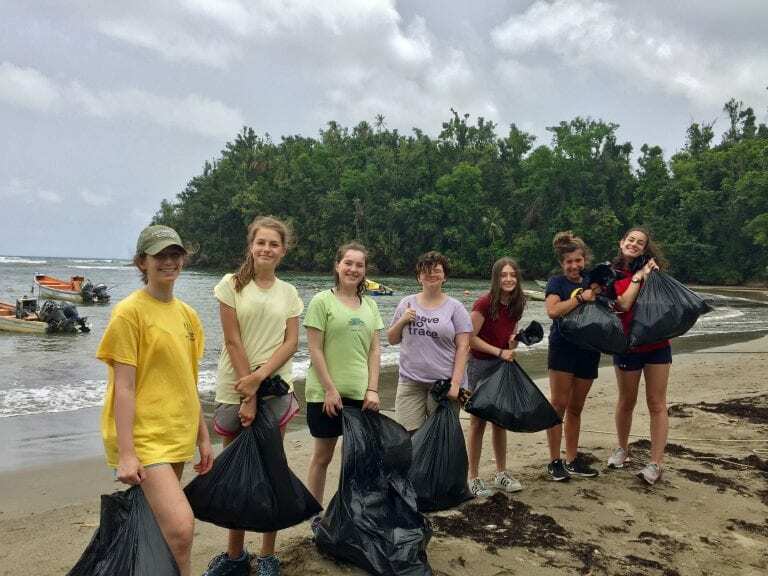 This trip was centered around community service for hurricane relief in the town of Bense, as the country of Dominica was affected greatly by Hurricane Maria in September 2017. There were 13 other students on this trip (grades 10-12) from all over the United States. 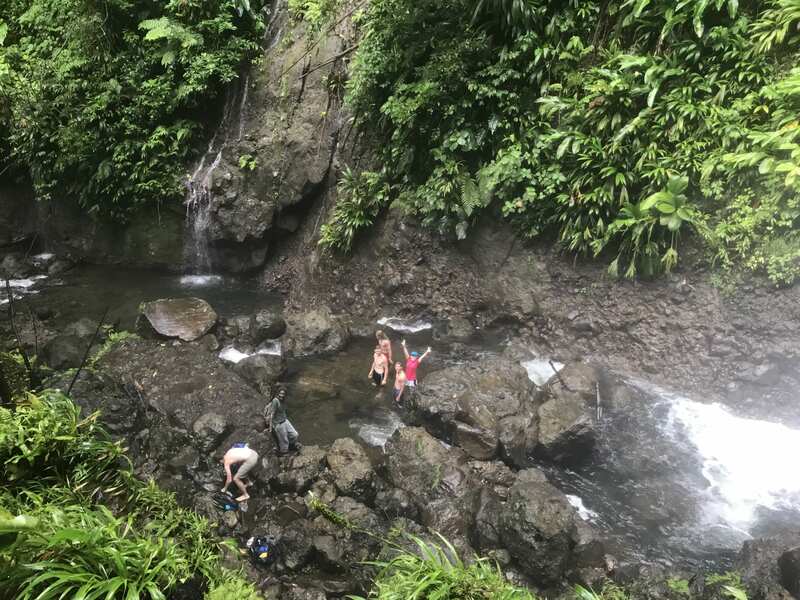 Throughout the three weeks spent in Dominica, our days consisted of working on community service from 8 a.m. to 1 p.m. After lunch we had opportunities to interact with the local children, hike to a waterfall in Upper Bense, or visit beaches in Anse De Mai. 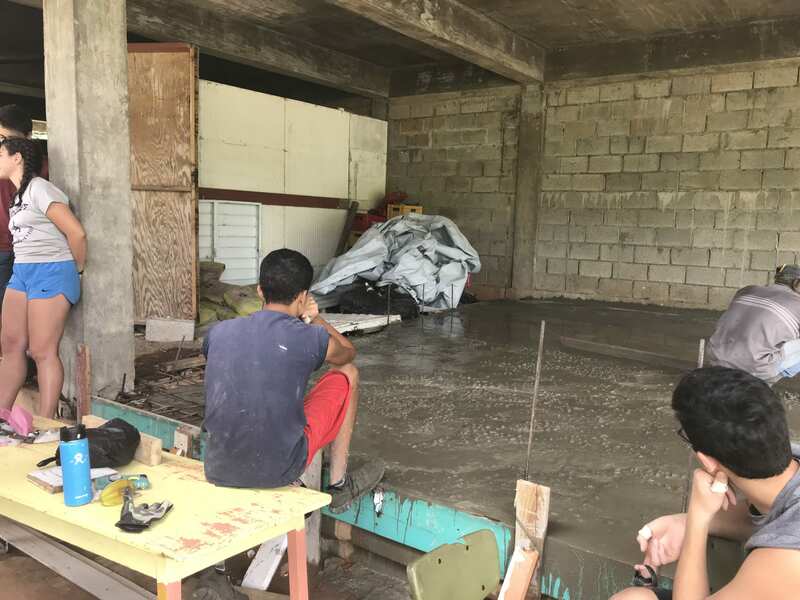 During our three weeks, we were able to rebuild multiple garbage huts and bus stops, paint the exterior and interior of an elderly woman’s home, lay concrete for the floor of a hurricane shelter, and clean up beaches. Each weekend, our group left the small town of Bense for weekend excursions to the larger towns of Portsmouth and Roseau. In Portsmouth we visited Fort Shirley and had dinner at a restaurant by the beach. We spent our second weekend in the Roseau Valley and stayed in a small hotel for 2 nights, where we were finally able to sleep on real beds, instead of camping mattresses on the floor of the Bense Resource Center! While in Roseau we took a hike to two neighboring waterfalls, one being the tallest waterfall in Dominica. Through this summer program, not only was I able to connect to people who live all over the United States, but also meet new friends in an entirely different country. Although at the end of the trip I was excited to return to my family and routine, I will remember the bonds I made and experiences I had in Dominica for years. When working on the Youth Philanthropy Project, I improved my skills in public speaking and communicating with outside professionals and groups. Through the YPI project, I was able to learn much more about immigrant health issues and the barriers for immigrants in health care. This project showed me that this issue is relevant to my life and is happening all around me. In order to remain engaged with my organization (AMPHS, Academy of Medical and Public Services), I could volunteer when I am above 16 and could also donate or provide any services needed. I found that the most challenging part of the project was finding an organization that related to our social issue (medical health in immigrants) and reaching out to them.